When you have a sudden pain or a splitting headache, what do you usually do? Many of us head to our medicine cabinets and open up the aspirin bottle for some quick pain relief. Aspirin has been a safe and effective pain receiver for years and has many properties that safely help treat whatever is causing your pain. It has even been shown to help more serious conditions like pre-eclampsia for expecting mothers. But did you know that it can be used for plenty of other parts of your body, and even around your house?Aspirin's ingredients are actually multifaceted, and can be used for everything from cleaning supplies to skin cleaners. 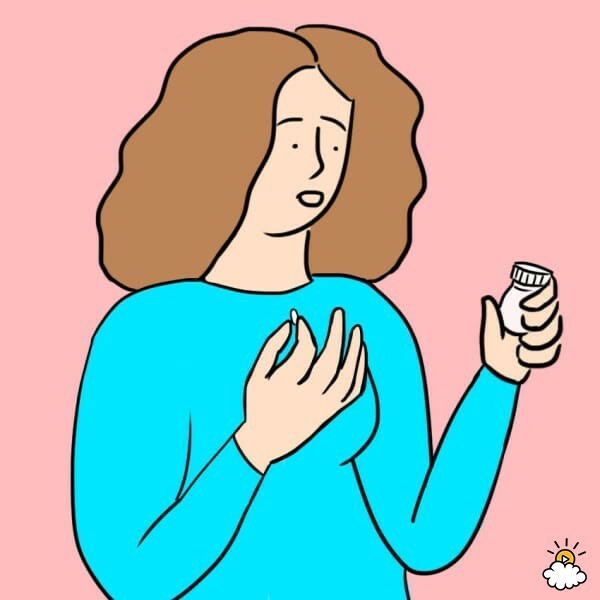 Check below to learn all of the interesting ways that you can take advantage of that aspirin bottle sitting in your medicine cabinet — some of them will surprise you! Aspirin has been a resource for fighting pain, headaches, and inflammation for years. Its analgesic (painkilling) and antipyretic (fever reducing) properties have also been shown to stop blood platelets from clumping, which means it can help protect you against heart attacks and stokes. But these powerful properties are good for more than just your blood and headaches; there are plenty of other ways that you can use aspirin on your body and around the house. Forget expensive cleaning supplies! Aspirin actually has intense exfoliating powers when mixed into a paste. The fact that it also help loosen clumps in your bloodstream means that it can also be used as an abrasive on soap scum. Simply crush the aspirin up with a bit of water to form a paste, or dissolve in water to scrub grime out of your counters and tiles. There are plenty of properties in aspirin that are also good for your skin. According to WedMD, aspirin is anti-inflammatory, meaning it will stop swelling and irritation in your body, which means it can reduce redness and irritation on your skin. It also contains salicylic acid which is an incredibly important ingredient when fighting acne. Aspirin’s aforementioned salicylic acid can also be used to remove yellowy sweat stains from your shirt! If left to sit on a stained area on your shirt, the aspirin will begin to break down the particles causing the weird color. To make the stain-fighting solution, dissolve several aspirins in water and soak your shirt in it, or make a paste out of it to rub into the stain. Aspirin’s various properties also work to keep a chlorine-tinged hue out of your hair if it’s a lighter color, similarly to how it can get stains out of your clothes. The salicylic acid also helps to balance the moisture level on your scalp if it is dry or flaky. Simply dissolve around eight tablets into warm water and work it through your hair, then rinse off in 15 minutes. Aspirin can also be beneficial to your feet. Its aforementioned exfoliating properties can break through dead skin and soften up your callouses. Its anti-inflammatory properties can also kill fungus that may be causing irritation. Dissolve around six tablets in warm water, soak your feet, then wrap them up in a warm towel. All of aspirin’s great ingredients that protect your body from pain also help roses last longer. According to Gardening Know How, plants produce their own salicylic acid when they are under stress, experiencing drought or being eating by bugs. The added salicylic acid from aspirin makes the plants more vital and able to alive through ever more adversity. Aspirin’s anti-inflammatory ingredients also work well on itchy bug bites. It will eat through any bacteria that could be building around the bit, while making sure the swelling goes down. Making a paste or solution and adding it to the bit for a little while will reduce the symptoms greatly and make then heal more quickly. Finally, it can also be used to sanitize your hands; simply rub a solution all over your hands before washing off. Who knew that these little pills could be good for so many other things? We're definitely stocking up in our medicine cabinet.